Housing loan is something that worries each and everyone. Government of India has initiated plenty of affordable housing development projects since long time for the people who are falling under economically backward class. PM Awas Yojana is one of the major ones, rather the biggest one of all. 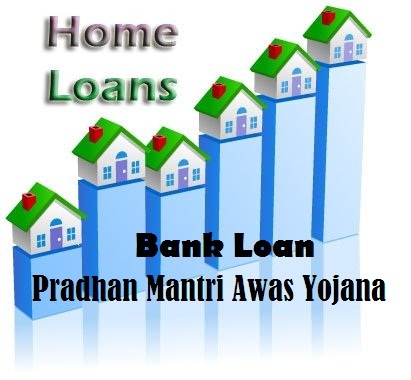 People who earn lower income can apply for the loan for PM Awas Yojana easily. According to Pradhan Mantri Awas Yojana terms, up to loan amount of 6 lakhs, applicants will get the benefit of 6.5% of interest subsidy. However people who are opting for more than 6 lakhs will also get the advantage of this subsidy in a different manner. As per the terms, Rs. 1 lakh will be provided to each house owners as subsidy in slum reconstruction projects. PM Awas Yojana is said to be the biggest step in housing development project because of the interest subsidy they are providing. As per the rules they will provide 6.5% interest subsidy on the loan for PM Awas Yojana. The market interest for housing loan is 10.50% which is definitely much higher than the subsidized rate under PMAY. Applicants who have annual income of 3 lakhs or less are eligible to apply for the PMAY loan. Also people who are lying between the annual incomes of 3 lakhs and 6 lakhs can also apply for the loan. These figures specify the family income not the individual’s income. People who are living under the poor economic conditions will be given preferences than other applicants. PM Awas Yojana has collaborated with all the nationalized banks at the first place when the scheme was announced. Later, some of the private banks such as ICICI, Axis, HDFC and such have come up with the affordable house loan under PM Awas Yojana. Also rural banks, development banks and other nationalized banks are eligible to provide loan for PM Awas Yojana. As said in the guidelines of the PM Awas Yojana, the tenure of the loan repayment is 15 years maximum. That is you can repay your loan in next 15 years. Though the tenure is set for only those who are availing loan of 6 lakhs or less, still it is a big relief for all the loan applicants.